Happy 2019! This is the first pattern of the new year for me. Do you recognize the name? I’ll give you a hint— it’s from a movie from the ‘80s. I’ll give you the answer at the end of the post. I intentionally tried to design this pattern to look like a snowflake because it the holiday season when I was working on it. My favorite part is probably the large circle openings—they turned out very round and I really like the small point at the top of them. This pattern is only 27 rounds so it works up very quickly. There are some tall stitches within this one, but nothing more than I usually incorporate. 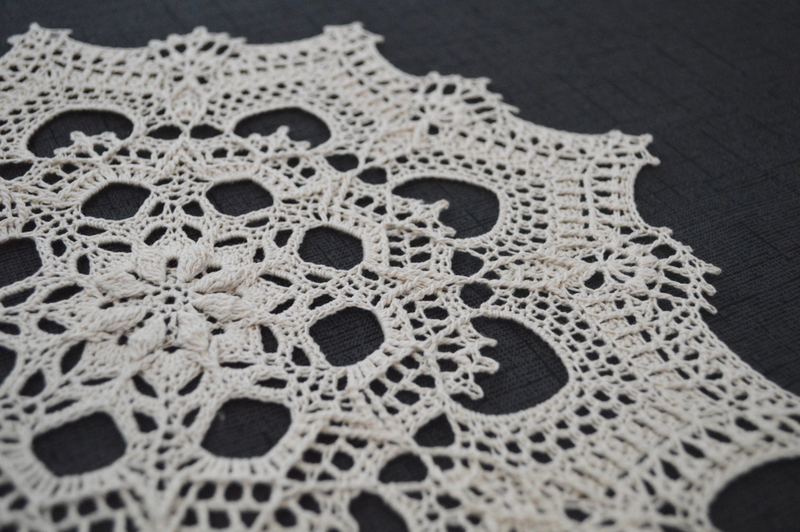 This pattern is 50% off for the first 24-hours and will return to full price tomorrow (01/14) at 1:30pm EST. Use the Ravelry button to add it to your Ravelry library, or use the other buttons if you can’t use Ravelry.